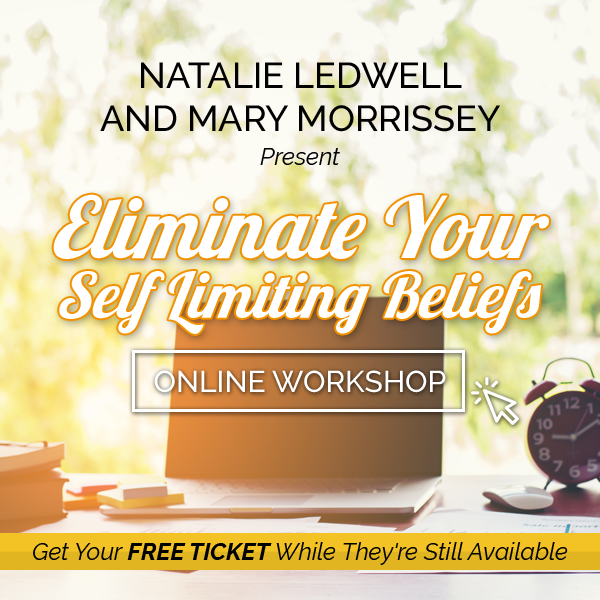 The problem with self-limiting beliefs is that they can be so sneaky. Quite often we aren’t even aware that these little negative ideas are lurking in the shadows. Equally as challenging is that sometimes we are completely aware of them yet don’t recognize them as what they are – roadblocks that hold us back! The list below is by no means comprehensive, but it should be enough to give you a start. Read through these items and think of what comes to mind. I’ve even listed a few as fill-in-the blanks. Also notice how many of them are cliches. These are phrases we’ve heard for so many years we don’t even question whether they are true, or if there might be some underlying negative meaning. For one example, if you’re old enough you probably heard your parents say “Waste not, want not!”. On the surface that’s fine. Personally, I like being a good steward of the earth and hate to waste anything. However, there is also a negative aspect of that. It came from people who grew up in or shortly after the Great Depression. For most people in those days, extreme scarcity was the norm. For them, that cliche was a dire warning that said “there isn’t enough, there is never enough!”. It was all about lack, lack, lack! So here are some ideas. What can you add to your own personal list? I’m not the type to be self-motivated. I should be farther along by now. If I get my hopes up I’ll just be disappointed. I’ve never been able to finish anything. No one else has ever done it. I’ve never been able to manage my time well. If people really knew me, they wouldn’t like me. I can’t feel good about myself without other people’s approval. It’s selfish to put my own needs before those of my family and friends. It’s selfish to enjoy life while other people are suffering. I don’t deserve to be happy because I’m not really a good person. Give somebody an inch and they will take a mile. I never have good luck. I always get sick in winter. Women don’t like men who are _______________. Men don’t like women who are _______________. Using the LOA for Money can be very effective. Money is not that important. It’s only money. Money is there to be spent. I’m just not good with money. My family has never been rich. The only way to get wealth is to work really hard. You can be rich, or you can be happy. You can be rich, or you can be healthy. It’s selfish to want to be rich when so many people are poor. If I became wealthy, my friends wouldn’t like me any more. Did any of the above sound way too familiar? Don’t worry, and whatever you do, don’t beat yourself up about it. The purpose of this list isn’t to make you feel bad. Nor is it to belittle or make light of your feelings. We’ve all experienced times when there is no denying that yes, life really is hard, at least in that particular situation or circumstance or moment. Trying to deny or “shout down” your feelings is ridiculous, and that isn’t the point. Rather, the purpose here is just to raise your awareness, to bring your attention to the source of what your little inner voice is saying. Simply being aware is a huge first step. Acknowledge your feelings and be kind to yourself. At the same time, though, beware of bad feelings that have no real basis, those that come from your little inner voice spouting off put-downs that aren’t even true. Hopefully you’ll start to realize when these beliefs rear their ugly little heads. Over time you can even learn to stop letting them control your decisions and actions. Based on my personal experience I am a HUGE fan of Natalie Ledwell. I can’t say the same for Mary Morrissey. However, I have seen a presentation done by these two ladies that was very impressive. The topic was limiting beliefs, and it was excellent, most definitely worth my time! The workshop below was created by Natalie Ledwell. Literally everything from her and the fine folks at Mind Movies is first rate. This particular workshop is free, and you’re guaranteed to get quality content, so I strongly encourage you to check it out.